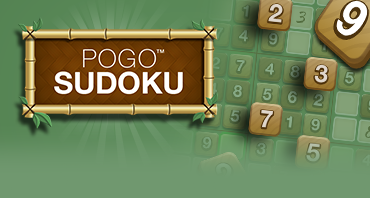 Enjoy classic sudoku puzzle-solving fun with Pogo™ Sudoku. Phlinx is back! Join Amelia as she unravels the mystery of an ancient Egyptian paradise and its powerful glyphs. Help the Quinn Sisters restore their family aquarium in this story-driven mahjong adventure. Play the classic game of SCRABBLE free with up to three other players. Test your skills at Pogo's exciting free, online version of Dominoes! Clear the board and send your opponents straight to the boneyard. Create words every which way in this reverse word search game. Wheel and deal your way to the top of a real estate empire in Monopoly. It's the Classic Game of MONOPOLY you Know and Love! Join the fun while you shake, score and shout in YAHTZEE Party! Shake, rattle and roll with Yahtzee! Play Yahtzee and see if you can score big with Pogo's free online board game! The Hasbro game of naval superiority comes to life with new weapons, game play twists and power ups! Challenge a friend to Online Checkers - one of many free online board games on Pogo. Get crowned the king of internet checkers today! Play a dominoes game online that is bigger, better and more fun than you've seen before! Conquer the Seas in this Classic BATTLESHIP Game! Race with each roll of the dice. Watch out for the hazards! Play Connect 4 online for free at Pogo! Connect 4, the original four in a row checker-stacking game comes to life on Pogo with new challenges and more ways to play. Dominate your opponent in classic Dominoes action. Welcome to Pogo’s collection of free online board games, including favorites such as SCRABBLE, Monopoly, RISK, chess, Checkers, and tons more! Scroll up and down the games list to see all board games on Pogo.com. Rack up countless hours playing board games at Pogo.com, and you can join Club Pogo for unlimited access to all premium board games and no ads during games. You can also download more games on the Pogo download games page. There are always more games to play and friends to meet on Pogo.com. What are you waiting for? Play free board games now!